It’s been a fascinating few months for me with YoungVoice and doing my mentoring course has been fantastic. I’ve been helping out with a few local businesses and it’s really rewarding. Speaking to them has made me look at my own businesses too, so that’s a reward in itself, without the good that the mentoring itself does. Helping a local business to obtain its main sales from a website has been perfect with my online trading history. YoungVoice giving another young start-up sole trader I’m helping, a free website has been satisfying too. YoungVoice has a brilliant volunteer at the moment. Rachel. 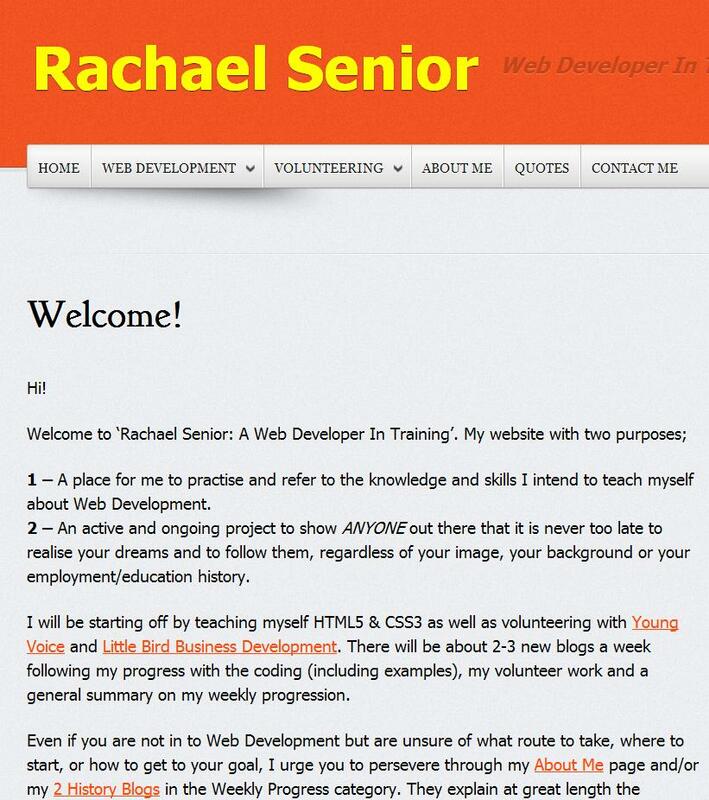 Rachel came at 9am and on her first day we purchased her a website for £3.99 at 10:30am. Then I showed her how to build the website, looked at what she would want a website for and she left at 3pm with a full online website. 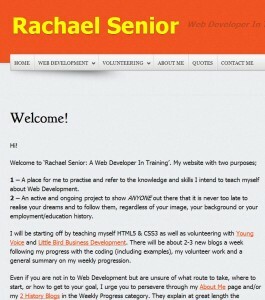 Rachel had seen how to buy the URL and make the website, administer it and have something tangible to take away ongoing. This made me feel brilliant and she felt empowered and rewarded to want to do more for herself in the future. On her fourth afternoon with me, she will be making a website completely from scratch for another lucky person getting a free website from YoungVoice, made by someone learning how to make websites! I’ve been talking to a school academy and a local college over the last few months. The head masters and executive headmasters have told me “we need people like you to come in to schools and show entrepreneurial and business skills”. So I went along at their request and spoke to their staff. It’s not come to much. 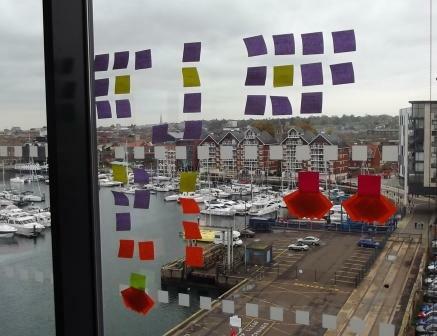 One meeting in Ipswich was very disappointing as they didn’t understand the need, as they aren’t entrepreneurial or business like enough to relate to it – so it won’t happen. They will not embrace the very thing the pupils need, until its finished and they can see the results. Would the results be enterprises, employment and stability two years after leaving school – yes. Is this their measurable financial duty? Probably not. The most proactive and visionary is Felixstowe Academy but which of the skills of mine they employ has yet to be decided and it’s now the 6 weeks holiday. I also graduate from the School For Social Entrepreneurs East in two weeks. This has been a fascinating and amazing experience, making me a “social entrepreneur”, more open to doing good with my business ventures and focusing on one project, not the many I used to try and do all at the same time! I’d like to use the graduation to pitch to the room full of Ipswich shakers and third sector movers and it could be an interesting afternoon. I’m having a stand at the post graduation market place at The Hub and if I’ve got the request for stakeholders and a business plan right, it could be interesting for YoungVoice. I’m currently working for a company in Felixstowe for 10 weeks, one afternoon a week. I’m doing their website ‘in house’ so I can pick up the language used, terminology and fully understand the needs of the website. I’m also adding a CSR to the business I am working with, passing on SSE values! Thanks for reading my blog and well done to Dayle Bayliss for winning the Archant Anglian Business Awards with her win of Young Business Person of the Year. The Haulage website I’m working on, also optimised for mobile viewing by the drivers, can be seen live here. Thanks also to Kim Christofi for her very kind gifts which she brought after our 8am e-commerce consultancy chat the other morning. 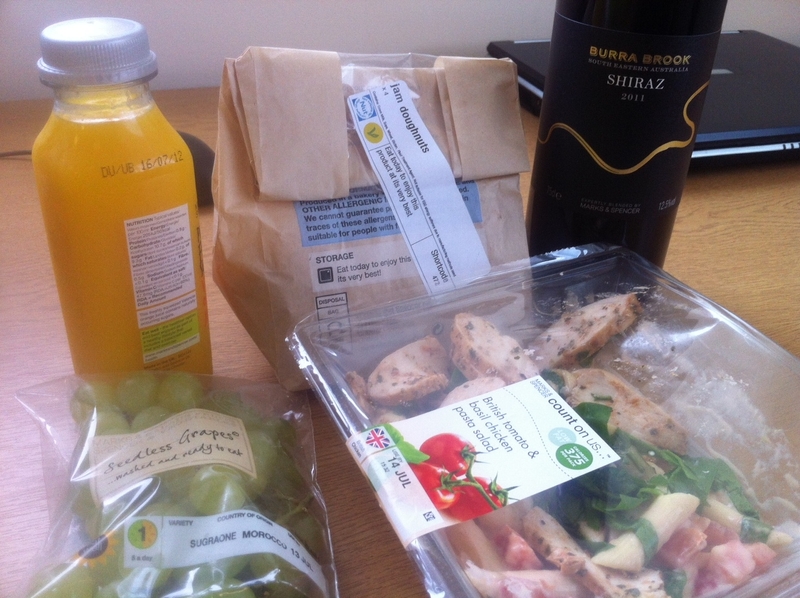 She gave me lunch and a bottle of wine as a thank you for the insight and support I gave her for her website. Proudly powered by WordPress | Theme: Prockie by aThemes.